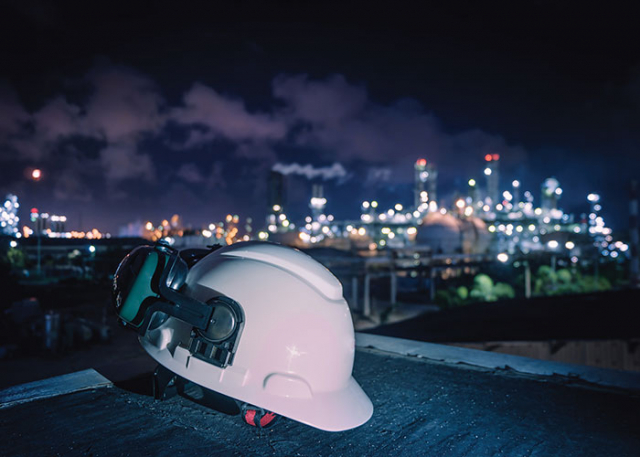 Kee Safety has supplied and installed our safety systems on many petrochemical plants, our most recent being a roof edge fall protection system at a petrochemical company on Jurong Island in Singapore. 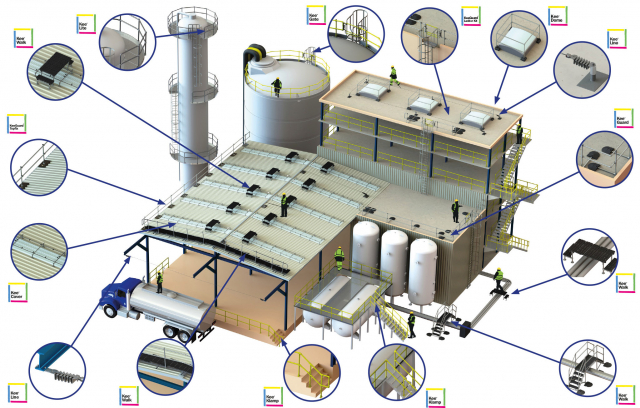 In the petrochemical sector, durability, corrosion resistant materials and continuity of operations are vital. Kee Safety products help to meet all of these requirements. We have provided our handrail, guardrail and working at height safety equipment to Clariant, National Petroleum in Saudi Arabia, Chevron, Sunoco, BP, Solvay, Exxon Mobil, Nova Chemicals, ConocoPhillips, PolyOne, Lubrizol, Petro-Canada, Huntsman and Diamond Offshore to name just a few. Kee Safety barriers offer a cost effective alternative to traditional welded handrail systems. Our barriers, made from slip-on fittings and tube, eliminate the need for welding and drilling, so no hot work permit is required for the installation of our railing systems, therefore production does not have to shut down during construction. Kee Safety's railing systems conform to stringent global industry standards. The main components are TÜV certified for strength, manufacturing quality and consistency. Galvanised for corrosion resistance KEE KLAMP cast iron fittings have been used in industry for decades to build handrails and other safety railings. KEE LITE components, manufactured from aluminium, are far more chemical resistant than steel barriers and can withstand harsh weather conditions, high saline and corrosive environments. The presence of highly caustic, corrosive, and volatile materials such as chlorine and acid found in chemical and petrochemical plants, prompts a need for extensive maintenance and repair of pipe rack systems, clarifying and settling tanks, and other equipment which often exposes employees to fall hazards. Ensuring Workplace Safety and Health (WSH) Act compliance and worker safety requires a comprehensive fall prevention strategy. Kee Safety offers a wide range of collective and personal fall protection solutions, including roof top guardrails, life lines, mobile man anchors, overhead fall protection, skylight and rooflight protection. By using our fully tested and certified systems, the health and safety of anybody who is required to work at height can be assured. Kee Safety also offers a wide range of safe access solutions, which allow people to work safely, whether on a roof, on a raised platform or within a production environment. Our safe access solutions include self closing safety gates, roof top walkways, access platforms for working at height and step-overs. Kee Safety provides a premium design and installation service. We undertake surveys and produce the CAD drawings for each project, giving you peace of mind, as well as the most professional and cost effective solution. Our quality and attention to detail ensures that every application conforms to the highest relevant standards. Please contact us to arrange a free site survey. Please download a brochure to learn more about our safety solutions for the petrochemical industry.